SEAQIL Goes to Brunei Darussalam! Aiming to support language teachers to create enjoyable learning and sustain learning motivation, SEAMEO QITEP in Language (Centre) has been conducting a series of workshops entitled “SEAQIL Goes to Schools” (SGTS) since 2014. The workshops aim to compile language teaching techniques written by teachers. Starting in last year, the Centre successfully conducted SEAQIL Goes to Schools in Phnom Penh, the Kingdom of Cambodia. In 2018, the programme continues to be executed in Brunei Darussalam from 23 to 29 April 2018 convened at the conference hall of the Ministry of Education of Brunei Darussalam, Bandar Seri Begawan, Brunei Darussalam. The workshop participants consisted of fifteen Arabic, fifteen Malay and fifteen Mandarin language teachers. The participants assisted by ten resource persons. Six were from Brunei Darussalam, namely Dr Hajah Suraya Binti Haji Tarasat, Rosnani Binti Haji Mohd Bakir, Mohd Idres Bin Awg Metussin, Kenny Lim Chin Aik, Kwan Fui San and Ahmad Busyra Bin Haji Matzain. The rest were the resource persons from the Centre. They were Ms Esra Nelvi M. Siagian, Ms Endang Nilla Pramowardhanny, Ms Hasanatul Hamidah and Ms Shantie Srie Widowatie. 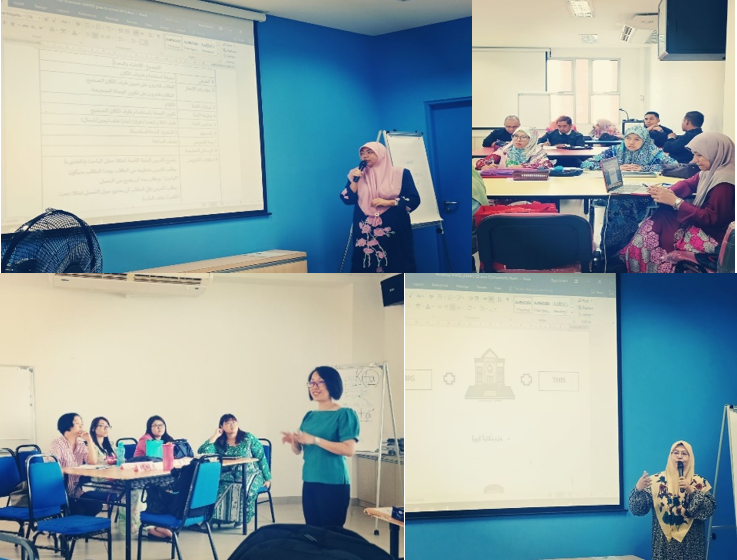 In the workshop, the resource persons gave a presentation on policy in teaching Arabic, Malay and Mandarin both in Indonesia and Brunei Darussalam. The main activity of the workshop was that the participants were asked to write good practices of language teaching that they have practiced in their classroom. At the end of the activity, the participants presented their writing results, then, the resource persons provided suggestions regarding the results of the writing. There were 61 drafts of good practices completed by the participants, namely 11 for Mandarin language, 21 for Malay language and 29 for Arabic language. The drafts were to be reviewed and selected by the Centre and eventually to be compiled in a book entitled “Compilation of Language Teaching Techniques from Teachers of Southeast Asia”. 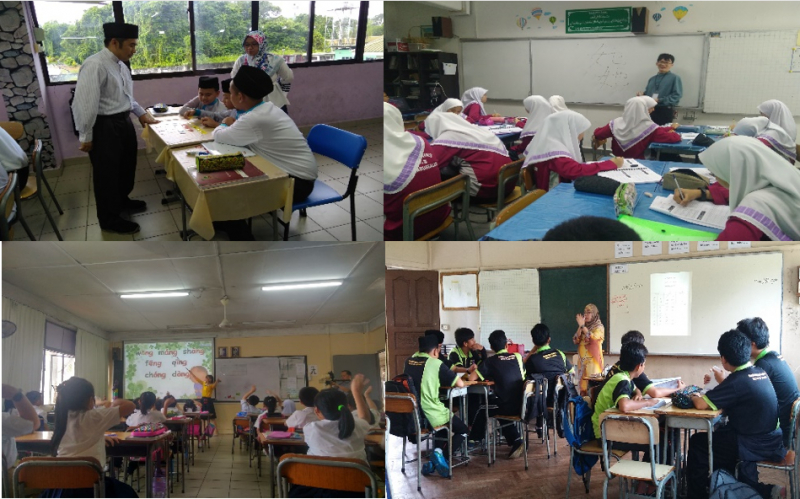 Beside the good practices, the resource persons from Indonesia also visited six schools to observe first-hand language teaching practices in Brunei Darussalam. For Mandarin language, the Centre’s delegates visited Maktab Sains Paduka Seri Begawan Sultan and Chung Hwa Middle School. The school visited for Arabic language were Sekolah Ugama Arab Menengah Perempuan Raja Isteri Pengiran Anak Damit, Maktab Sultan Omar Ali Saifuddien and Sekolah Al Fallah. 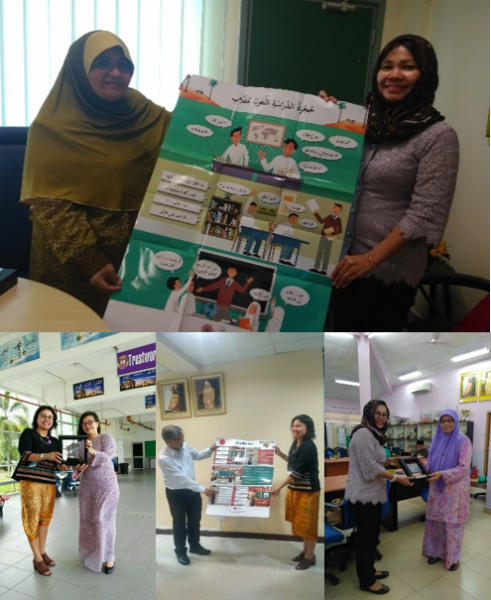 Lastly, the Centre visited Sekolah Menengah Sultan Sharif Ali to observe their Malay language teaching process. In the near future, the Centre plans to conduct the programme in other Southeast Asia countries, i.e., Malaysia and the Philippines. It is expected that the compilation of language teaching techniques in Southeast Asia will be finalise by 2019.